Many people that have been following developments in the Free Energy movement will know that there are a plethora of Free Energy devices that work, the list of ways to create Over Unity (Free Energy) is booming as we experience a renaissance in technological developments from creating alternative energy devices in nano technology, magnetism, leverage, water fuel cells or plasma science. The problem is not how to create electrical energy, energy exists in the Aether, all around us, the problem is how to make these devices available on the public market, so much violent resistance is usually met by inventors from Oil Barons and Energy Monopoly Companies. The elite control global oil companies and gain a profit of 100 million dollars per hour everyday of every week, every week of every year, extracting oil from the deep ocean or from beneath the rain forests resulting in destruction of the Amazon, causing countless oil spills and environmental disasters on an ecocidal scale. While this continues, so does the repression of every other form of technology available that could free humanity from the current destructive paradigm we do not consent to. Alternative energy devices are met with a steel wall of resistance by governments and corporations. It has taken people risking their lives to break the cycle of vehement repression of stopping alternative energy devices becoming available to humanity and 180 years of endured repression. This repression has been via control of patents or via means of the Energy Cabal buying alternative energy devices and blueprints from inventors or by murdering inventors, such as was the demise of Eugene Mallove and Stanley Meyers. Passive repressive action is by means of the government ignoring these inventions and repression of their coverage on mainstream media or on the public energy market. However, through a combination of a modern technological renaissance, human consciousness shifting and the alternative media becoming more popular than mainstream media, we are presently witnessing continual breakthroughs with alternative energy devices being made more freely available to the general public. For these reasons, alternative energy systems are breaking the fierce barrier of controlled repression. Next year, the Water Fuel Cell car will be made available to the public, and there are pilot studies of solar powered roads being tested and solar cars that are powerful enough to travel over 3000 kms on solar energy that will be available on the public market in the near future. Today marks a huge step in human evolution as an interesting plasma energy device is breaking through the barrier of resistance thanks to the work of Mehran Keshe, who founded the Keshe Foundation. We are witnessing a historic moment- as of today, thanks to Keshe. There will be an International meeting held in Rome today as the Keshe foundation hold the 3rd World Ambassador Meeting for World Peace, the goal is to provide Free Energy for World Peace on the 16th of October, Keshe will be releasing a new plasma technology device referred to as the ”Blue Box” to generate over-unity to show world leaders and ambassadors that this device functions successfully and can be used and tested anywhere globally to provide Free Energy using plasma technology. A number of ”Blue Box” plasma energy devices will be distributed to world leaders, including president Obama, who will receive one of these devices so it can be tested in the White house. Other people receiving the ”Blue Box” will be the Iranian president Hassan Rouhani, the president of The Republic of Armenia, Serzh Sargsyan, one will be sent to the president of Nigeria, Muhammadu Buhari. One device will be sent to the president of Ghana John Dramani Mahama, one will be sent to President Putin in Moscow and one will be sent to the President of China, Xi Jinping, the only commitment Keshe asks from these world leaders is to sign and make a commitment to the World Peace Treaty. The ”Blue Box” plasma units will be delivered to Ambassadors and random citizens in different locations across the globe, all who will also be able to test and use Keshes’ plasma technology. This approach will bypass government repression and show the world that this technology actually works. Keshe said this will be followed by releasing larger plasma energy units around the world. Keshe is confident that these ”Blue Box” Plasma devices will be available at a cost of $200, so every household could generate their own power and be free of the grid electricity monopoly. Keshe states that funding the larger generators will be available from many sources for those that cannot afford a unit. The Keshe Foundation claims that all profits will be channelled solely into manufacturers producing new unites, the Keshe Foundation will not collect any profits. The goal of the Keshe Foundation plasma technologies is to make alternative energy technologies available to create a more sustainable and peaceful world for all, to improve the lives of humanity globally and decrease the disparity between the wealthy and the poor, so that a better quality of life is achieve for all. How the 1 percent elite control system respond to this one is a guessing game, though predictable, many leaders will probably simply ignore the technology, like they have ignored other similar alternative technologies and Keshe is probably aware that his life is at risk. Whatever happens, this day marks a global shift in consciousness, thanks to Keshe’s bold move to distribute these ”Blue Boxes” to world leaders. The level of global focus from the alternative media on this is the most that any Free Energy Device has received in sometime, this also indicates that the alternative media has become the more popular media in comparison to mainstream media sources, which again indicates that the shift in consciousness is taking place. This also comes at a time when the Water Fuel Cell car that Stanley Meyers originally invented that can also power a domestic home will be available next year. Dr Tewari and many other alternative energy scientists have already disproved the mainstream beliefs of the laws of physics. Other exciting technological breakthrough include developments in Nanotechnology. Thanks to entrepreneur, Justin Hall, sought out the world’s leading nanotechnology scientists to harness the electron and create energy through nano technology, now they have a company called Nanoholdings is a team of scientists, investors and innovators working at the cutting-edge of nanotechnology to develop solutions to the world’s growing energy problems. Working in partnership with the world’s best universities, they have developed products and companies that will revolutionize the way we use and generate energy. Nanoholdings are a company moving towards harnessing the electron can be used to generate energy in nanotechnology again this will mean people will no longer need an electric grid system, they will be able to create energy wherever they are, at work or at home, the days of the coal or nuclear power stations are numbered as nano-technologies are developing, there are some incredible solutions available that bypass the need for an energy power plant. Imagine you live in a building that has very large windows, you can use each window much like a solar panel but simply by using a thin plastic film with energy harnessing systems embedded inside the film as fine or finer than a human hair, the plastic sheet can be stuck onto the window panes of a house or office building to use the light and heat energy beaming in through the window. The plastic sheet will be a powerhouse unto itself and able to do many complex things using nanotechnology to convert light energy from the sun to power up the room for heat or to cool or generate electricity and if it is not required there, it can then be sent to someone else who needs it more. In ecological terms, this is much like the forest energy exchanges that occur in forest ecosystems in the roots of ancient trees, the oldest grandmother trees in a forest community are constantly shuffling nutrients and water back and forth to the younger trees that need it the most, in other words nano-technologies are becoming ecologically sustainable in terms of producing energy, which makes every individual human able to become self-empowered with their own energy needs and to provide the same energy for their neighbour or local community in the future. ”Two things stand out about us — we focus exclusively on nanotechnology-based energy solutions and we work at the very cutting-edge of nano-energy research. It is necessary to tell people about these suppressed sciences. People in the academic sector live in fear of this knowledge or speaking openly about these issues, especially to fellow environmental scientists or physicists. Free-Energy science is rarely acknowledged by most environmental campaigners or scientists or organisations who talk about improving the environment with alternative energy. There are many alternative publishers and environmental organizations that do great work but will not even take the subject of Free-Energy seriously, perhaps because they are put off by the implications of this subject and fear it would reduce public support and donations if they did take up the campaign. Despite this, public awareness is growing and those of us that have the knowledge, feel an intense desire to pass it on and share it with many more that are up for the challenge. This is a really exciting time to be alive and witness world changing shifts that most of us never expected to see in our lifetime. The Silent Ecocide- the environmental crisis is a crisis of human consciousness, a book that explains how Free Energy solutions can save the planet. 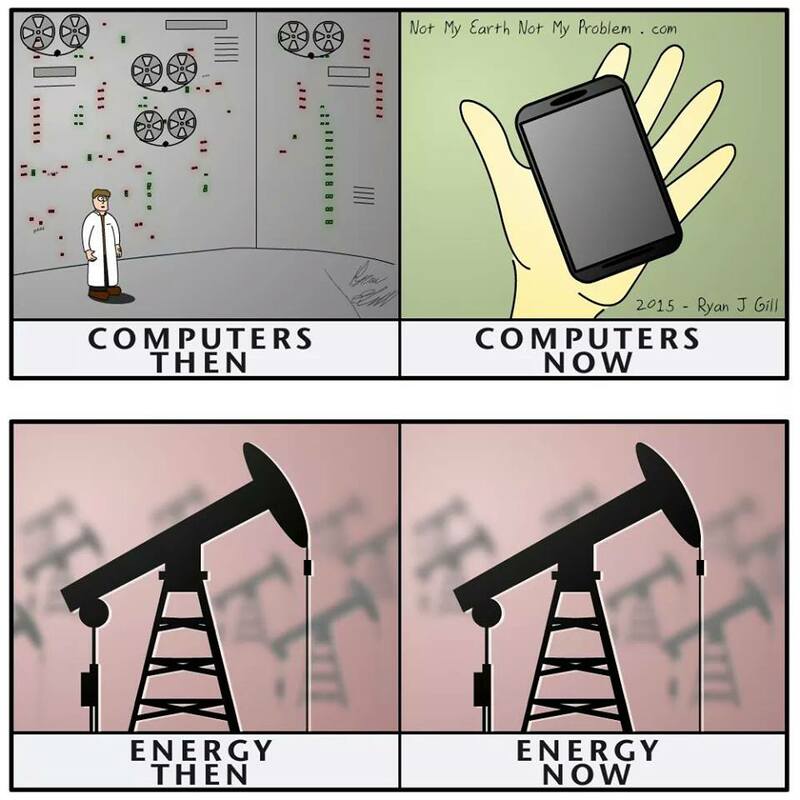 Consider the disparity of evolving technologies in terms of comparing how far we have come with computer technology, wireless internet, and solar power and yet we are still driving around fossil fuel-guzzling, heavy clunking bits of metal spewing out carbon dioxide, carbon monoxide and other pollutants that are driving ecological collapse. Alternative energy solutions exist, the Water Fuel Cell was invented by Stanley Meyers back in the 1980s, he was poisoned in 1998 at a restaurant, probably by oil barons. A few years before Stanley was murdered he gave a presentation on his water fuel cells, in the presentation, Meyer describes a molecular, chemical and electrical level of how water can be used as fuel — not just as a gas, but for domestic and industrial electrical generation. Meyers was also the holder of 40 patents. Ten years later Honda launched a water fuel cell car that also has the capability to provide domestic power for a house, this probably evolved from Stanley Meyers original design. Honda made this car available to the Hollywood elite in 2003, now they claim to be launching this water fuel cell car to become available in 2016 to the public. However, they are saying that the current lack of infrastructure to support Hydrogen fuel cell technology will need to be worked on, what this actually means is not something a mainstream newspaper will publish, it means that the oligarchy that own the oil and energy companies, will not take kindly to the Water Fuel Cell Car that can also provide domestic power to the home to finally become available to the public market, therefore they will make it difficult for hydrogen processing plants and Water Fuel Cell stations to emerge as part of this supportive infrastructure. When an oil company earns 50 million dollars in profit per hour, they will continue to vehemently repress anything that is threatening to their Oil and Energy Monopoly, it has been clear that the oligarchy wish to control the world’s water supplies too, this could be one reason why. Whereas, we the people would like to see a technological harmony in our vehicles and transport that would bridge the gap between the current disparity in modern technology, allowing sustainable solutions to emerge onto the public market without being vehemently repressed by those controlling patents or that have the monopoly of power. Since Nikola Tesla’s discoveries of how to use the Aether to tap into the Earth’s electrical field, to achieve overunity and after his death, humanity has unknowingly endured over a century or more of this unjust repression of science and monopolization of electricity by the oil-garchy, electricity which should be free and wireless, yet we are not taught the real fundamental laws of physics, a large portion of science involving the fifth element, the Aether is hidden and repressed from human knowledge. It is important to highlight the fact that mainstream science taught in schools and universities is only a tiny segment of a larger science that continues to be kept hidden from humanity. This tiny part that we are familiar with, is used as a propaganda tool to keep the governments in power and people from believing that electrical energy already exists all around us via the Aether it does not need to be generated, it is also known as Chi, Orgone, Prana or Kundalini energy, it has a different name in every culture and what is clearly fascinating is that the Aether has been known to exist by ancient Asian civilizations for over 8000 years, this knowledge forms the basis for the health of Chinese natural medicines and Qigong and Yoga, it is also a lost knowledge in many other great lost civilizations. Those that benefit from this scientific illiteracy are the 1 percent global elite and their oil companies, so they may continue to destroy the rainforests and oceans in the process of petroleum extraction with the constant spilling and polluting, causing global ecocide. British Shell Petroleum, which is just one of dozens of different oil companies, makes a net profit of about one hundred million pounds an hour. That is, every hour of every day of every week of every month of every year, they earn an extra one hundred million pounds to play with. Governments, political stakeholders, oil investors and oil companies alike don’t feel comfortable with us knowing this, and they would be quite upset if an inventor comes along and says ‘’hey wouldn’t you like to buy this water-fuel powered car or domestic power generator run by magnets, which will only cost you a few thousand pounds and produces all the electricity that you will ever want, no fuel needed, wouldn’t that be great?” The answer is that the oil companies would not like it at all and the people who would like it even less are the government who take in around 85 percent of the cost that we pay at the fuel pump as tax. The executive oil directors and governments will do what they can to prevent any one of us owning a car that runs on anything but oil-based fuel. This power and profit-driven suppression of new alternative technologies for energy efficient vehicles, is the reason why we do not see them offered for sale at an affordable price to all. It is also why many are not granted patents or given the opportunity to be made available for public sale on the ‘free market’. Some key government figures are arm in arm with oil companies worldwide. Politicians and oil barons are often one and the same. Just take a look at the Bush family, while Tony Blair is deeply involved with Egypt and Israel’s gas industry as an energy advisor, it was recently revealed that they are involved with plundering Gaza’s gas ocean-based reserves, which Israel is planning on selling to Egypt. The Labour Party had received up to 2.5 million pounds in donations in less than a year from energy giants as a means to influence a privileged few in their environmental policies to become more flexible for energy industries. The same thing happens in the USA, Oil companies pay politicians through lobbying agencies to influence their policy making decisions, its really a legalized form of bribery so that corporations can own politics and bypass environmental protection laws, this is why we are seeing ecocide and mass extinction at an unprecedented rate between 150 and 200 species are disappearing per day. Brazil’s supreme court has just banned Corporations from donating money to political elections. This is a great example of how to deal with this high level of corruption and should be made an international law. You could say that the most powerful government positions are mostly filled by those who either run oil companies or are connected to the families of those who run oil companies. Their goal is to make sure that our society stays in a kind of stasis, dependent on oil and gas, as it keeps the present governments in power, and generates for them a huge financial profit at a cost we all are paying for, by global environmental destruction. This addiction to power and money through oil sales, is an addiction each of us are a part of, even if it is involuntary, but it is costing us the very Earth on which we live. Four years ago Scott Brusaw from California, USA, gave a talk with Ted Talks, (an organisation, that sponsors people to talk about their ideas and projects), presenting the ‘Solar Roadway Project’, which is a project where ‘green’ engineers have been working to produce solar-powered roads and cars that could even help power homes and businesses. The 2013, 3,000 km World Solar Challenge recently took place in Australia and was won by a Dutch Solar company named Eindhoven, which has built a solar-powered vehicle called ‘Stella’ and which is designed for families, they will perform the same challenge in October this year (2015), why again? It is important to keep demonstrating that solar and water cars can run as efficiently as the conventional car, as with many alternative fuel cars, it is possible that in a few years’ time, we will probably see these car fade into the background, a fate that has already been the case of countless other green vehicles produced over the past decades. Since Stanley Meyer, invented his Water Fuel Cell car and was granted patents in 1989, other water-fuel cars have been built by other inventors. Just last year, members of the Pakistani parliament, scientists, and students alike watched in awe as Waqar Ahmad, a Pakistani engineer, successfully demonstrated a water-powered car in Islamabad. With just one litre of water, Ahmad claims that a 1000 cc car could cover a distance of 40 km, or a motorbike could travel 150 km. In 2011, Japan invented a powerful water car produced by a company called Genepax, a Japanese company that unveiled a car that can run on river, rain or sea water, and even run on Japanese tea. It is interesting to note that the Fukushima explosion that devastated Japan and the Pacific ocean was also in 2011. The first compressed air car model to get media attention was in 1996, though there have been much earlier models in existence, in 2003, the French produced the Compressed Air Car, Moteur Development International, and Peugeot Citroen both have compressed air cars which they plan to market to the public in 2016. With this in mind, we can consider that we no longer need oil from the rainforests or the oceans. What we do need is to keep the forests and oceans preserved, perhaps via an international law that overrules political and corporations to bribe political decision makers, we need transparency and truly ecologically friendly laws to protect the environment from Ecocide. The conservation of our environment could be seen as a matter of international security since destroying our environment in turn destroys the future of human survival. 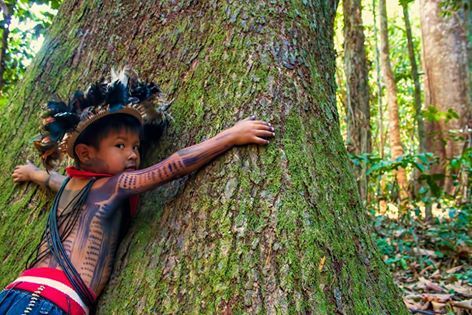 Is not the future of the world’s rainforests and oceans, a matter of human survival? With our growing awareness, we each individually have a pressing responsibility to push for a transition from an oil-based economy to an ecologically-sustainable economy. Free Energy is the only solution to ending the destruction of our environment, there are already many advanced solutions in the form of alternative technologies. Solutions that should have been available to humanity a long time ago, and yet these are conveniently overlooked by global decision makers, which leads to the simple question “why?” – to protect the oligarchy and their precious monopolies being the obvious answer, however it appears their days are numbered as the ruling monopoly as progress and demand of clean energy technologies are pushing through the adverse barriers set before them because we the people are waking up and demanding cleaner energy. The shift in consciousness is taking place and nothing can stop it unfolding. By Carlita Shaw, an ecologist, writer, teacher and rainforest campaigner that lives in Ecuador. Author of the book The Silent Ecococide-The Environmental Crisis is a Crisis of Human Consciousness. Dr Saamdu Chetri​ who I am honoured to say endorsed my book, shares the story of his life and amazing work with the BBC. In the 1970s, the king of Bhutan announced that the happiness of the population was more important than Gross Domestic Product. Saamdu Chetri has been charged with overseeing Bhutan’s happiness – but his own life has had its share of suffering. 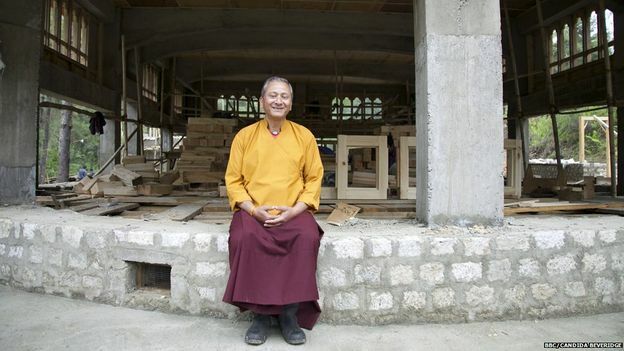 On the banks of a river in the remote Bumthang valley in the foothills of the Himalayas, Bhutan’s first happiness centre is under construction. 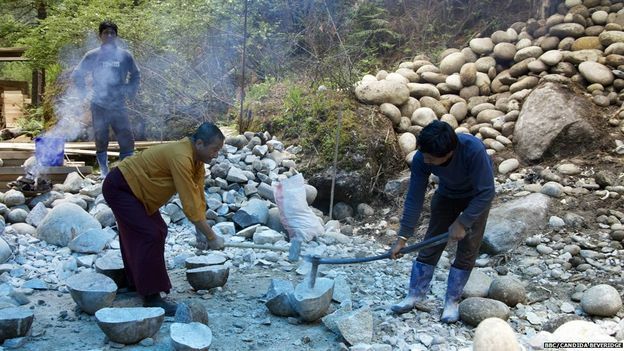 Among the workers breaking stones is Saamdu Chetri, dressed in monks’ robes, wielding a pickaxe. For a man charged with bringing happiness to a nation, Chetri has suffered much in his life and comes from the most humble beginnings. “I was born in a cowshed,” he says. “I was so attached to animals, plants – anything to do with nature. To his surprise, when he was nine years old his brother took him to school – something that worried his father a great deal. “I was the most loved child and they didn’t want me to leave the house,” Chetri says. “My father was very worried that I would become weak, so he sent a cow with me to school.” He laughs at the memory. He left school at the age of 14 because his brothers and sisters had left home and he felt a duty to help his parents. His day on the farm began at 04:00 when he would walk a kilometre to fetch water, after which he would feed the ox and begin to plough. He decided to carry on his education, but his life changed dramatically when his parents took him on a pilgrimage to Nepal. There, they befriended another family who had their eyes on Chetri as a potential son-in-law. He was only 15 at the time and knew nothing about it. Their intentions only became clear when one of the men from the Nepalese family invited them all to a family wedding. “The man took me to town, then they started measuring my finger – I said, ‘What are you doing with my finger? '” The man explained that he was only trying the ring on because he was the same size as a boy who was going to get married the next day – the same happened with the wedding outfit. The following day the wedding ceremony began. Two ceremonial places were built, and Chetri and another boy were placed next to two empty chairs. “Then suddenly there are two men carrying two girls on their backs, coming towards us. One girl sat beside that boy, the other girl sat beside me. I tried getting up and they pushed me down on the chair,” says Chetri. Once the ceremony began, it was too late to escape. The couple were given a small hut to retire to, but Chetri was too upset to sleep. “I wanted to jump into the well and die, because this was something that I never expected my parents to do,” he says. Chetri was climbing up to the well to carry out his plan when his wife’s father caught him from behind, and broke into bitter tears. “Please don’t blame your parents, it’s me who has cheated everybody, because I found you would be a great husband for my daughter,” the father said. Chetri and his wife had children, and she lived at home with her parents while he continued his education at college in India. However, traumatised by events in her own life, one day she disappeared, leaving Chetri with two young children. A female friend from college offered to help. Over time, their relationship grew, and they married. After a while his first wife came home. Chetri was faced with a dilemma. His first wife offered to go and live with his parents, but soon disappeared again. It was 19 years before Chetri discovered where she was. Now she is back in her home country, Nepal, and lives with a mental illness. It’s something Chetri struggles with. Despite his own share of personal grief, nowadays Chetri always has a smile on his face. He says he’s a naturally happy person, but he never dreamt he would end up as the man responsible for Bhutan’s happiness. His rise up through the ranks started when, freshly out of college, he was called on by government to bring about the the king’s wish to develop Bhutan’s newly emerging private sector. Working for the royal family wasn’t an easy task. “For us, a king’s wish is a command,” he says. “You have to work very hard to meet their expectations.” He would often work until 03:00, catch a few hours’ sleep at home and be back at work promptly at 08:00. 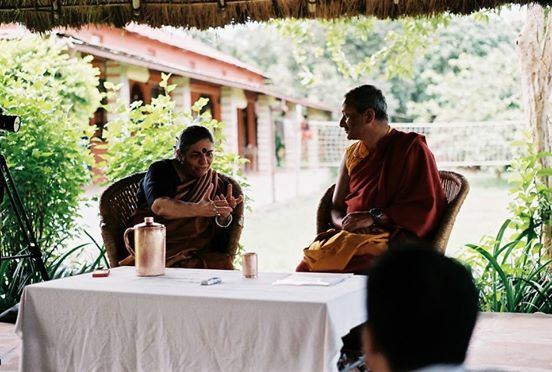 After many years of working in the capital, he retired to his village in the south of Bhutan – he wanted to go back to living among nature, which he had loved as a boy. But it was not to be. When Bhutan elected its first democratic government, he was summoned back to the capital, Thimphu, and asked to work for the cabinet office of Bhutan’s first, freshly elected democratic government. Five years later he was the man chosen to head up Bhutan’s first Gross National Happiness Centre based in Thimpu. 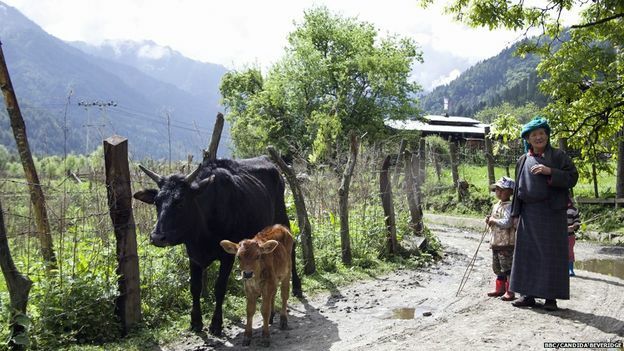 Despite the focus on national wellbeing, Bhutan faces huge challenges. It remains one of the poorest nations on the planet. A quarter of its 800,000 people survive on less than $1.25 a day, and 30% live without electricity. It is struggling with a rise in mental illness and divorce. Chetri explained how Bhutan’s nationwide happiness surveys are used to improve people’s lives. The solutions might be to bring on formal education, pipe the water closer to their villages, and provide efficient cooking stoves. 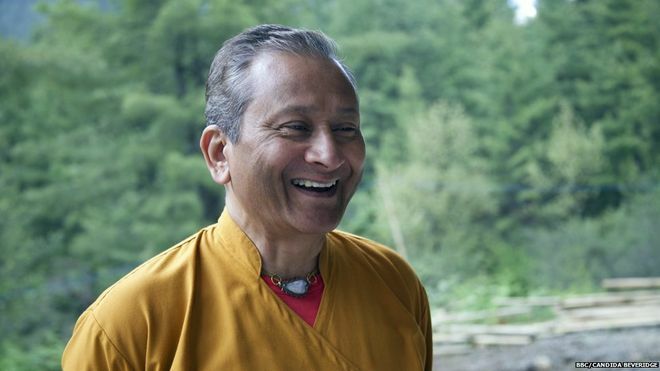 Five years after it was first announced, Chetri is about to realise his dream of creating a centre in a beautiful natural setting where people from Bhutan and the rest of the world can come to learn how to lead happier lives. Visitors to the GNH centre, finished this month but officially opening its doors to the public on 18 October, will learn three basic principles – to be part of nature, to serve others with kindness and compassion, and to discover their innate value. Chetri starts every day meditating and it’s compulsory for everyone in his office to start the day this way too. “I wish I did not need to do anything but just to sit here and meditate,” he says. Saamdu Chetri appeared on Outlook on the BBC World Service. Listen again to the interview on iPlayer or get the Outlook podcast. Deep ecological principles have had some strong criticism in the past, including that of being a movement which hates humanity. That is just one opinion. A fresh perspective is needed. Quantum science is a fast developing field connected to Deep Ecology, in the sense that humans are still evolving mentally and on a consciousness level rather than biologically. 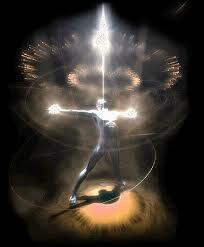 It is even possible that our cell biology can still change or be affected by a shift in consciousness. Even today, there are countless cases of people that have cured themselves of fatal illnesses, disease or cancerous tumours by working through previous misconceptions about themselves and were able to heal and cure themselves, are they tapping into the quantum field for healing? We have not stopped evolving, what we are doing to our environment, we are doing to ourselves, we need to respond to this with a shift in our human understanding that the environmental crisis is an indication that human consciousness has to change. We could see this present time as a wake-up call and a chance to make changes internally and externally, in terms of learning from our mistakes, rather than being hateful to humanity. It is a true and popular analogy among environmentalists that we are like a cancer on earth at the moment; though with all illness and diseases, it is usually an indication that we need to re-evaluate how we live our lives on this planet. So just like when we get sick we need to change how we nourish ourselves internally, mentally, spiritually, emotionally and physically, we must do the same and change the way in which we live with the Earth. We can seize this time as an opportunity to review our relationship with what we previously saw as a separate environment, and nurture a better understanding, respect and love of ourselves in terms of birthing a new a perspective on ecology at a spiritual level. As discussed in the previous chapter, many of us feel anger and grief with the environmental destruction that human greed is causing; we can use that anger and grief in a constructive way, to motivate us to create change and take action. By embracing a more sustainable and ecological lifestyle, we create self-empowerment, confidence, nurturing inner nourishment and inner peace. 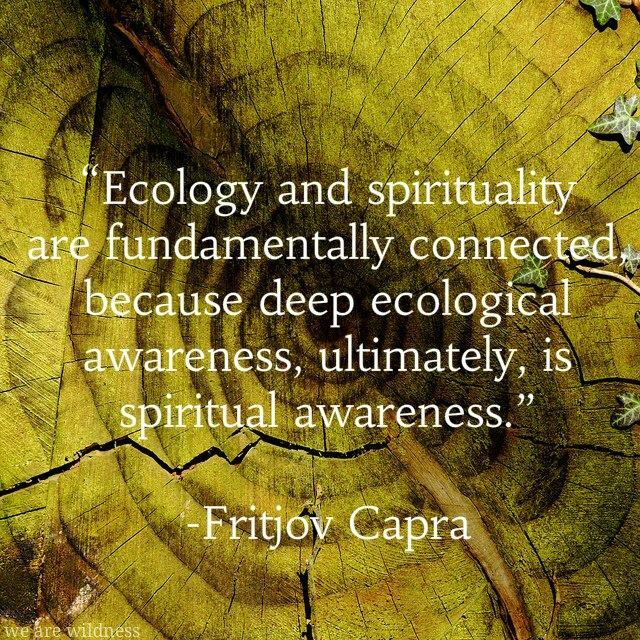 Deep Ecology is a blend of certain ancient indigenous concepts with modern concepts. We are part of the Earth’s consciousness and she is part of the sacred feminine and masculine, the deeper fabric of our consciousness in the web all life that flows through all beings. The corporatization of the political world has become unethical and careless, ignoring its responsibility to protect the planet. Unconsciously, some of us take on this violence imposed on the Earth, internalising it. Those of us who are aware of this, are carrying the burden of responsibility, grief, guilt and loss, especially when we see ecocide unfolding on a daily basis with destruction of key ecosystems such as our forests and oceans. At the other extreme, some of us have become so de-sensitised to this that the easiest option is denial. We need to find ways to understand why we are feeling powerless to affect the overwhelming crisis in which we are living. re-acceptance of the ancient indigenous beliefs, that all life is sacred and intrinsically affected by our actions, and even our thoughts. Only then will we evolve and start living more ecologically on the Earth. Implementing sustainability and human sovereignty is a human right and need, as well as a necessary way for Earth’s resources to be managed within Nature’s natural carrying capacity. Many experts around the world are working towards reclaiming lost and ancient indigenous knowledge. Through transformation power of these concepts and how reclaiming the spiritual ecology with our connection with Gaia, Pacha Mama, Madre Tierra, Mother Earth and Cosmos are a step towards creating and mapping a new more harmonious world and reality. Some ways in which to connect with Nature on a deeper level, are to work with the plant teachers through ancient medicinal entheogens with a highly experienced Indigenous Shaman. 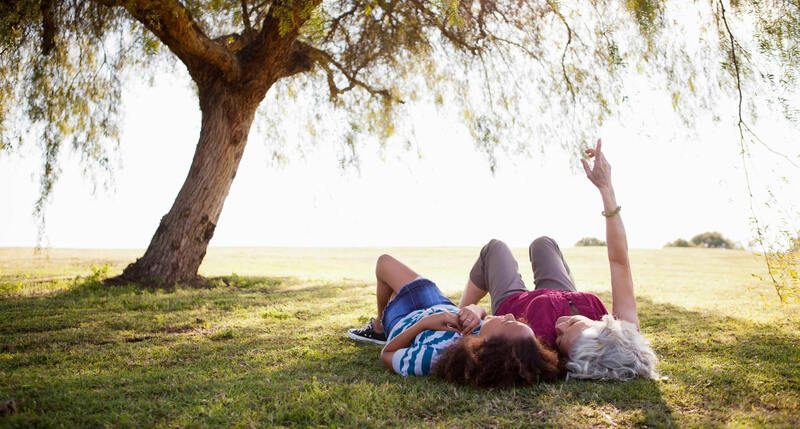 Other ways to reconnect with Nature is simply being in Nature as much as one possibly can. Excerpt from the book The Silent Ecococide-The Environmental Crisis is a Crisis of Human Consciousness. By Carlita Shaw, an ecologist, writer, teacher and rainforest campaigner that lives in Ecuador. Become the author of your own world and words, write your own story. Let us look at this word ”authority” (n.) Traced back to early 13th century, derived from autorite of a book or quotation that settles an argument, from Old French auctorité meaning permission, the Scriptures 12th century; Modern French autorité, from Latin- auctoritatem (nominative auctoritas) “invention, advice, opinion-from auctor “master, leader, author. Meaning “power to enforce obedience” is from late 14c. ; meaning “people in authority” is from 1610s. So, basically to break the word authority which casts a spell on humanity, let us break this illusion down, authority is just a fiction written by the authors that desire to control humanity because that is where the authors gains their power, from feeding off of a true power source in us, human beings we have the truer power and authority in our world among our communities, our families and tribes where we are the sovereign beings with our own free will, thoughts and power. We are not persons or corporate fictions owned by the Crown corporation, which is simply another author that desires control through illusions because it has no genuine power source of its own, the same with every other authority that exists in civilization. Reclaim your freedom and break down your illusion of this spell of ‘authority’ that humanity is under . Without us, the author of authority is nothing, we do not have to read or endorse their book of rules, especially as theirs is destroying the Earth and driving ecocide, let us write and define our own reality in our own words and in our own imaginations and hearts. Who do you think has true power here, authority or us, humanity? Authority has nothing to do with true power but everything to do with control and feeding off of humanity, almost consuming us as if we were the food of this fictitious illusion of authority, humanity is the true power, why do you think we are being fed off via taking our attention, our taxes, energy, health, natural resources and our time? We are the ones that have the power, that is why. We have been giving authority our power continually and we do not know it, until we start waking up, authority tries to control us because we are the power source, we have the true power. Why do you think authority uses violence to control us? We have the true power! Why does authority use mind control? Again, because we have more power than we realize. We have the power to co-creating our own version of reality by using our own kingdom of Imagination, I-magic-nation, I- am the- magic- of my own (eye)- i- nation, the kingdom of my soul, heart and mind are my nation. I am my own sovereignty, the consciousness that flows through me is connected to the consciousness of our God source and therefore my consciousness and your consciousness co-creates with this God source, that is why we have imaginations, the gift and magic of seeing in our own inner nations as a tool to create our own dreams and desires into a perceived and experienced external reality. We can magically create what we want to see manifest in our world, if we use our hearts and our intelligence to define our own reality without the consensus reality that is dictated to us by authority.The authors of authority are without an inner power source of their own, this is why they have written a fictitious construct that is no longer beneficial to humanity or Planet Earth. Authority as it stands, is a destructive construct that is feeding off of the genuine power of humanity and we need to realize this in order to empower ourselves and break down the destructive construction of this illusion, of this authorized consensus illusion. Authority is not all powerful, when we remove ourselves from agreeing with that illusion, authority no longer has power. Why do you think the media and film industry is a multi-dollar industry? Not just because they are part of a propaganda machine but because they are trying to occupy your mind and own the power of your imagination. Your own power is worth far more than any old archaic wizard behind a curtain…… Realize you, me and everyone of us is powerful if not more so than any authority combined, we are far more powerful as sovereign beings and as global and local communities or as a tribe. Use your own power wisely, live life on your own terms, not on the terms dictated to you by fictitious authorities that are a parasitic entity and nothing to do with allowing humanity our own true power or freedom, self expression or sovereignty. We do not need authority to have permission to be free sovereign beings, we do not need authority to choose to live sustainably or to take care of planet Earth for future generations, we do not need authority to choose what kind of healthcare or medicine we give ourselves or our children, we do not need authority to choose our or our children’s education, and we do not need authority to create a peaceful world, peace is only achieved when violence is not used to impose authority on civilizations. As an ecologist working several decades in various environmental sectors, I will say that I have come to learn that ecological illiteracy is not an accident, it could be considered as a successful form of social engineering that is very convenient for the current greed driven oligarchy. We were not born ecologically illiterate, a child instinctively knows to care for animals and the environment and often a toddler marvels at every blade of grass and insect it encounters, it is usually when a child is shown or taught cruelty that a child starts to mimic adults by example and not respecting its fellow creatures or environment. Biophilia is an instinct we were born with, an inner sense of feeling good and being uplifted by nature. However systematic deprogramming in humans has turned us into good capitalists and consumers but appalling environmental protectors, making us ignorant of ecology and how we are affected by or affecting key ecosystems on the Earth, solely by our lifestyle choices. Society has conditioned people to become so distant from or even scared of nature to being repulsed by it, to the point that many people can be called biophobic. Society has done this through schooling and lack of emphasis on ecology (we are mostly taught we are superior to and separate from nature). Social media, movies and television programming has been convenient in this way to government, so have many religious beliefs. As a result of humanity’s ecological ignorance and belief that we are separate from nature, the ecosystems of our planet show severe signs of devastating impact; from oceans being contaminated with radioactive waste, sewerage, and oxygen depleted zones. Another example of ecological illiteracy is that many people refer to the forests as ‘the lungs of the planet‘, it is actually the world’s oceans and their marine algal and microbial communities that are the lungs of the Earth, producing 80 percent of the world’s oxygen, and the ocean is a keystone ecosystem to stabilizing climate and maintaining good oxygen levels. Yet, the oceans are heavily polluted with plastic and toxic effluence, contaminating major global food chains and yet we continue to over-exploit over 85 percent of the world’s fish stocks. There may be no rainforests left in twenty years’ time or enough fish in the ocean in ten years’ time, it has already been noted that future generations will not be able to fish as we do today in just twenty years from now. Over half the world will have a water crisis in fifteen years from now. Bees, which are our most important crop pollinators, are fast disappearing due to toxic chemicals from aerosols being sprayed into the atmosphere via geo- engineering and pesticides being used in industrial scale farming. The rate of deforestation and ocean pollution is destroying our major keystone ecosystems and their ability to maintain stable weather systems. Just imagine if things were entirely different, if we all were ecologically literate and aware of the consequences of our daily actions on key ecosystems and on other species and the violence we cause Earth. We would be far more respectful to nature and the greed driven corporate power system as it is, would cease to be destructive to the environment, pollution would no longer be profitable, instead environmental investment would be more beneficial as well us seeing as an expansion of employment in a green ecological capitalism that thrives through pioneering sustainable technologies in industry and ecological economies. We would have a community orientated management of natural resources, (rather than centralized government management of natural resources), that prioritized nature and all kinds of sustainable technologies in operation in society which would replace fossil fuels, which would be banned and replaced by billion dollar investments into clean technologies (technologies that presently exist but currently lack the funding and support from governments because they do not make enough money for governments or banks). We would also have an ecologically based economy, one which invests in the bank of Nature or Natural Capital as it is referred to by ecological economists, where nature is given a significant financial value for its invisible goods and services, (a simple example are bees pollinating crops, clean water production via mountain aquifers and geological ecosystems and oxygen production from trees in forest ecosystems). Investment in Natural Capital would protect major natural resources from exploitation and destruction by super corporations, especially oil, gas and mineral companies. One of the incredible benefits from a Natural Capital based economy is that it would wipe off each country’s Gross National Debt, for example The World Resource Institute (WRI) estimates the value of ecosystem goods and services to be US $33 trillion dollars a year, nearly twice the value of the global gross national product (GNP) of US $18 trillion. The USA is in debt by 17 trillion dollars, therefore, if the US transitioned to an economy based on natural capital, it would take care of this debt. Global debt is currently a powerful driving force of ecological destruction (ecocide), an example is that many Latin American countries are in debt to China and therefore China is one of the major driving forces through debt pressures, to rapidly exploiting the Amazon rainforest for oil, hydroelectric power and minerals, it is also now building a 5,000 km railway from Chile to Brazil, which will plough through previously protected rainforest and undisturbed indigenous tribes, a railway to remote areas of the Amazon rainforest will only further increase large scale destruction of precious biodiversity worth more left untouched and protected. We would also have stringent international laws in place protecting the Earth from Ecocide and every country, not just a few countries, would by now have given Nature the same rights as a human being or a corporate fiction in the court of law, presently corporations have more rights than Nature, and more frequently corporations are beginning to have more rights than people, in this so called modern civilization. As it presently stands, many governments profit immensely from destroying the environment and not having 7 billion people to stop them from doing so, is convenient due to our ecological illiteracy and the social engineered lack of care, and media distraction from the destruction of our Earth. Presently, ourselves and world governments can no longer afford to be ecologically illiterate, this is driving an environmental crisis that has gone beyond critical tipping point where up to 150 species of animals and plants are disappearing daily and key ecosystems are being destroyed beyond recovery if we do not stop and make major changes now. Ecological ignorance is good for business, yet business can only last so long while the environment is falling apart around us, everything we do relies on ecology and ecosystems, and we cannot continue to ignore this fact. Ecological illiteracy in government and society is one of the worst things that has happened to Earth and to us, for humanity to become so disconnected to ignorantly treat nature as separate from itself. The Caring Human is in Danger of Extinction. Carlita is an environmental scientist, teacher and writer, currently living in South America.